Why is the Gulganj Fort so significant that it is a state protected monument by the Government of Madhya Pradesh? This question frustrated us since our first visit to the site in May 2013. Compared to other magnificent forts of Madhya Pradesh, such as Raja Mahal and Jehangir Mahal in Orchha or the Forts of Dhar and Mandu, Gulganj was rather “ordinary.” Located on a spur, 30 kilometers (98 miles) from the main city in a small settlement, the highly overgrown and vandalized Gulganj Fort, with its entire roof curiously missing, left us looking for even more answers. Its plight clearly suggested a strong disconnect with its custodians. Even before we planned the site work, it was important for us to establish the significance of the fort itself —what is it we had to conserve? Unfortunately, there were no archival records available in any local or national libraries related to this lesser known historic building. Hence, the fort itself was our best bet for finding our answers! The process of conservation planning for Gulganj Fort was underpinned by thorough historical research, primarily based on accounts by the local residents who had witnessed the changes in this historic structure and its setting. Also valuable was the understanding of the architecture in the region and the folklore associated with Gulganj Fort, such as Raja Sawant Singh of the Bijawar dynasty gifting it to his concubine Gulbai after whom the town got named as Gulganj. Constructed in the eighteenth century, it is not so well-known by the public that Gulganj Fort is an important example of Bundeli architecture in the region. Strategically located on top of a hill, the architectural disposition of the fort suggested a defense typology. The fort is locally referred to as garhi, which in Bundeli architecture refers to a small fort built near a water source on top of a small hill amidst dense vegetation, and purposefully hidden from the main road. The region is dotted with many such garhis, which were primarily used as refuge areas for women and the elderly of the royal families during emergency. Garhis were also residences of the zamindaars, or landowners, who were stationed at strategic locations. Hence, the purpose of the construction of Gulganj Fort was residential and protection. However, while other garhis similar to Gulganj have been encroached and damaged, Gulganj remains fairly intact. This makes it an important repository of such a type of building. Designed as a defensive and residential structure, the fort was used as tehsil, or local administrative headquarters, until 1947. After India's independence from colonial rule that same year, the headquarters was shifted to outside the historic building, and thereafter it was subjected to neglect and pilferage. The knowledge of the building’s changing uses explained the evolution or layering that is found in Gulganj Fort. Systematic historical research was followed by extensive documentation of the existing structure, site conditions and patterns of decay were carried out by an experienced and enthusiastic team of architects from October 2013 to June 2014. Documenting and observing the structure through different seasons enhanced the understanding of decay patterns and intrinsic problems with the historic structure. 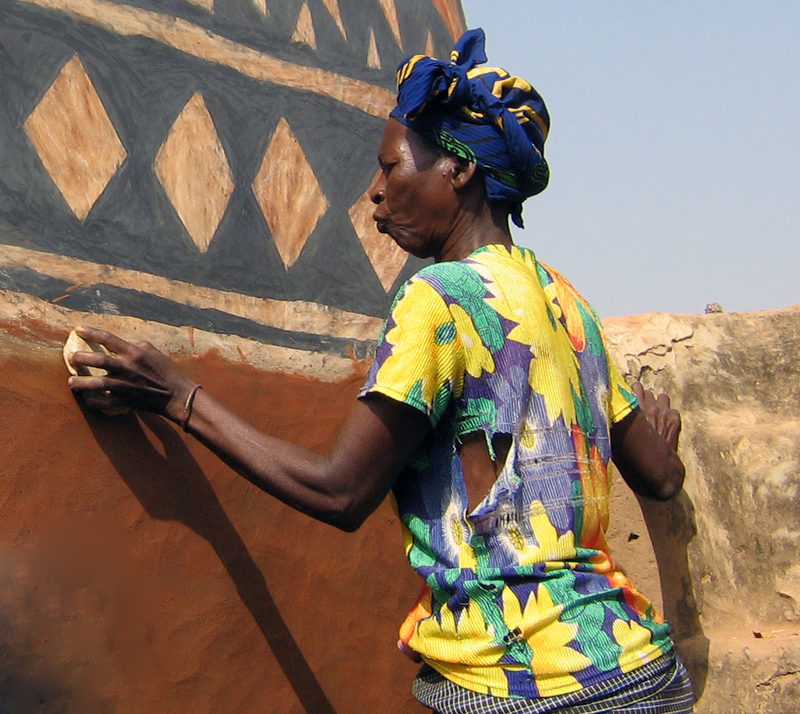 Through exhaustive study and building documentation, the team could interpret traditional wisdom behind the choice of materials for construction, details, techniques, and workmanship. This guided the careful conservation planning and course of action for the fort. However, the most challenging aspect was to re-link the heritage of the fort with the community. Our regular trips to the otherwise neglected monument created curiosity among local residents. Inquisitively, some of the village youth tagged along with the team to see what we were up to. This gave us an opportunity to involve a couple of young boys in the documentation process and train them in basic site work. In turn they gladly told us stories related to the fort and also explained the curious case of the missing roofs. The locals believed that the wooden beams supporting the roof had gold in it. Hence, it was subjected to pilferage. Further, the loss of the wooden beams led to the collapse of its roofs. In the course of the last two years, we observed that while the villagers are pleased that the government is taking interest in Gulganj, a sense of ownership towards its heritage is still missing. Often the abandoned courtyards of the fort are used by the men of the village to laze in the sun, others use it to collect their fuel, and every Wednesday this otherwise silent little marvel transforms into a bustling open air kitchen, where vendors roast and sell river fish. So, while the fort of Gulganj is used as backdrop to the activities of the people of the community, it is not seen as anything more than an empty space—a lost little ruin—in their midst. Slowly, the stories of Gulab bai and her fort with huge gates, ramps, painted chambers, and timber roofs are becoming a fading memory. Therefore, while we conserve the historic fort for the future, Gulganj Fort presents a case for appropriate reuse for the community. It is only through sensitive reuse that we will be able to revive the relationship between heritage and community and engage them in conservation of their heritage. WMF has partnered with the government of Madhya Pradesh’s Department of Culture to develop a sustainable management program for continued conservation and maintenance of the state’s heritage sites.